﻿Alberta Winds was formed in 2003 in recognition of the strong tradition of wind music within Alberta, and in response to a growing need for a high-caliber Wind Ensemble in Calgary. Formed and given a strong foundation by Artistic Director Dr. Mark Hopkins, the ensemble continued to evolve over the years under the direction of former Artistic Director Dr. Jeremy Brown. Gareth Jones appeared as a Guest Conductor during the 2008-2009 season and is now serving as the ensemble’s Artistic Director. Committed to providing audiences with a wide variety of repertoire, this prestigious group performs music that spans all genres and appeals to music lovers young and old. The ensemble is comprised of some of the best wind musicians in Alberta, and includes freelance performers, private instructors, music teachers, and clinicians.﻿ Keeping our ticket prices low ensures our music is accessible by all. As the ensemble has developed, it has also recognized the need to foster quality musicianship at the secondary and post-secondary education levels. Alberta Winds partners with local senior high school bands in some of its concerts, and offers low cost admission for students registered in secondary school music programs. 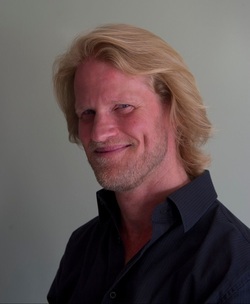 Gareth Jones is an Adjunct Professor at the University of Calgary and is the director of the University’s Wind Ensemble as well as the Symphonic Band. He is also the Director of the Alberta Winds, Calgary’s professional wind ensemble in addition to being named the conductor of the 2014 National Youth Band of Canada. He was Assistant Principal Trumpet with the Calgary Philharmonic Orchestra from 1992 to 2007 and continues to play with the CPO whenever his conducting schedule allows. Before that, he held the same position with the Tulsa Philharmonic Orchestra. Mr. Jones’s musical activities are greatly varied. He has appeared as guest conductor and clinician with over two hundred orchestras and wind ensembles, been featured on Juno nominated blues CDs, appeared on CBC radio as a soloist and chamber musician, been a guest lecturer with the National Youth Orchestra of Canada, been an adjudicator at music festivals across Canada, as well as conducting honour bands across Canada and was a reviewer for the recently updated Royal Conservatory of Music trumpet syllabus. He can be heard playing chamber music, jazz, blues, and rhythm and blues with various groups around Calgary. He has studied conducting with the renowned pedagogues Jorma Panula, Gustav Meier, Michael Haithcock, and Michael Jinbo. He has conducted ensembles from across Western Canada as well as Mexico and the United States. As a conductor he founded the Calgary Honour Band and the University of Calgary Brass Choir. He was also a founding member of the chamber ensemble “Rosa Selvatica” and has been a featured soloist with the Calgary Philharmonic Orchestra on several occasions. He studied conducting at the Pierre Monteux Institute and Canada’s National Arts Centre and received his Master of Music in conducting from the University of Calgary. He studied trumpet at Northwestern University, where he won the prestigious concerto competition and a scholarship for performing excellence.